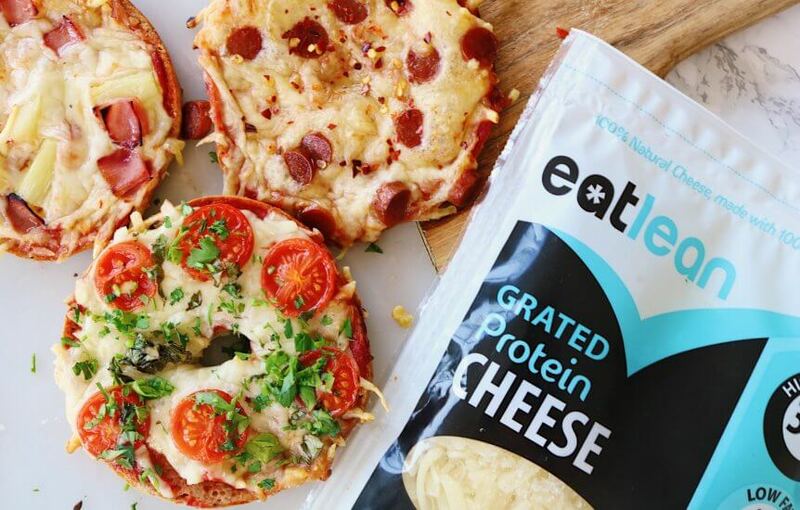 Taking snacking to a new level - these pizza bagels are super simple to make, taste absolutely delicious and offer up far better nutritionals making pizza a far less guilty pleasure! This is a great one to get the kids involved with too, no worrying about creating a complicated base, opt for a wholegrain bagel with slow release carbs, that's high in fibre and with the Warburton high protein bagel, it's got that extra protein hit too. Each pizza slice contains just 4g of fat and over 20g protein! High Protein Bagels - These bagels combine a mixture of flour and pulses, topped with seeds to create a bagel that's high in fibre and protein. With 8g protein per bagel it's a great alternative to a white bagel, or stodgy pizza base. 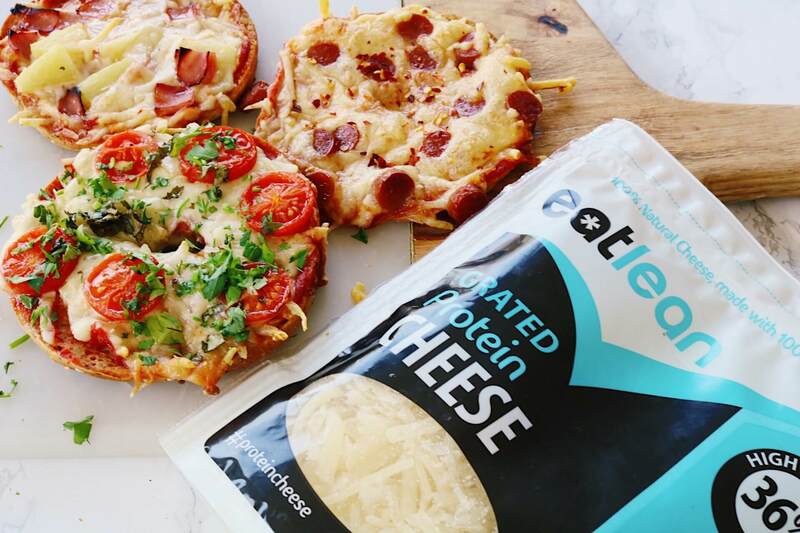 Eatlean Grated Protein Cheese - Pile them high with Grated Protein Cheese, 100% natural with 90% less fat & 45% more protein than a standard cheddar it helps to keep these snacking pizzas guilt free. Cut the bagels in half and place onto a baking sheet. Spread each with passata evenly. Top with our Grated Protein Cheese, pepperoni, basil, or your toppings of choice! Hit with an extra shake of our Shaker Protein Cheese for that final protein boost. Bake in the oven at 180 for 10 minutes until the cheese is all melted and bubbling!